Perseverance is key. 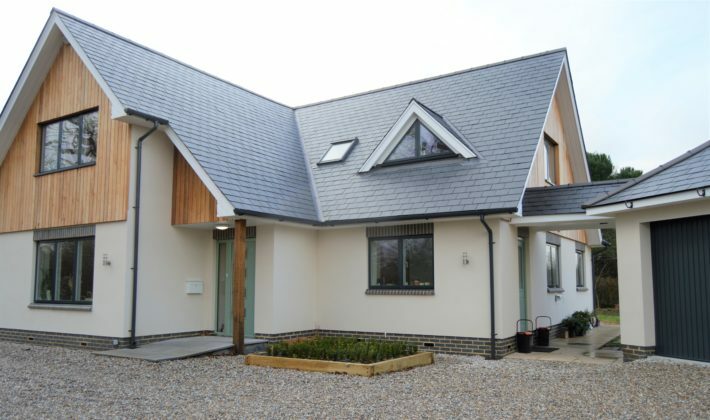 This is what Steve and Margaret Pettett have learned from their self-build experience. After years of research, unsuccessful plot purchases and battles with planning, the couple are finally able to relax in their forever home. It would have been difficult to find a more ideal plot for them than the one they eventually bought on the edge of a busy village in a rural part of Kent. Their journey began before retirement, they had discussed the possibility of building their own home since they ideally wanted a future proof, low maintenance bungalow, with a reasonably sized garden, and realised that there were no decent properties on the market that suited all their needs. And so they started to look into the different self-build options available. 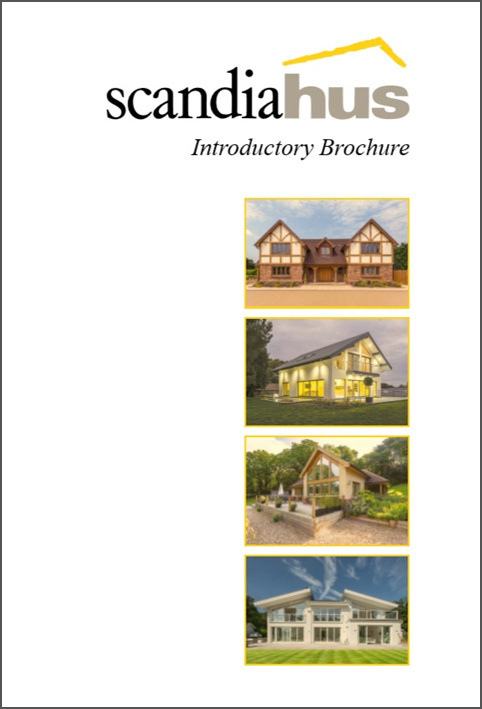 They liked the idea of timber frame construction as it progressed quickly and the suppliers of this type of product usually offer a ‘package’, with a design and planning service included. After visiting a local exhibition, they discovered Scandia-Hus. They discussed their plans with Project Manager Cameron, and decided to come along to one of Scandia’s open days at their show home in West Sussex. They liked what they saw and so invited Cameron to visit the site they were potentially going to buy. A contemporary design was created based on the requirements and style the Pettetts wanted, but unfortunately it was not to be; the local council rejected the plans. 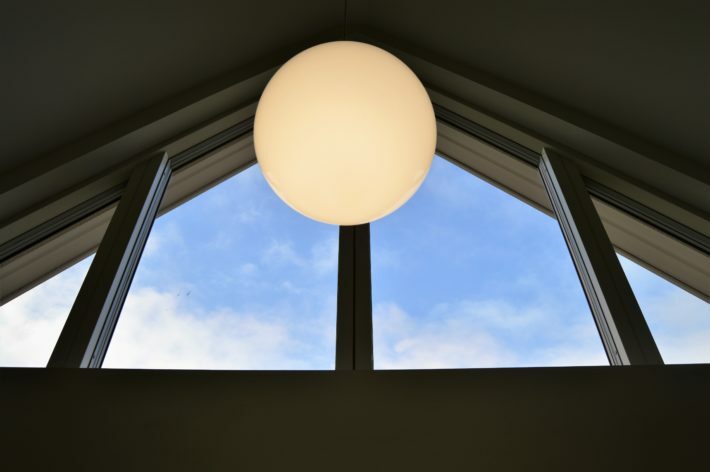 After retirement, the couple were able to focus on the project more; they scoured the South East of England for a new plot, approaching over 40 estate agents, spanning 3 counties, to find suitable land to build on. Their dedication finally paid off. Steve and Margaret’s energy had begun to wane, and they considered just renovating an old bungalow to get what they wanted. They found a property in a good location, with a generous garden. Their family, seeing how they had been discouraged and were thinking of giving up on their dream, urged them to continue the search for a plot. The couple look back on this time with gratitude, and describe how everything that happened was ‘meant to be’. The seller of the bungalow they had been looking at, decided to split some of the garden from the property, and sell it separately. The self-builders jumped at this opportunity, and managed to secure the land. The events that followed happened in quick succession, especially compared to the long process they had endured so far. Their house went on the market, and sold within two days. 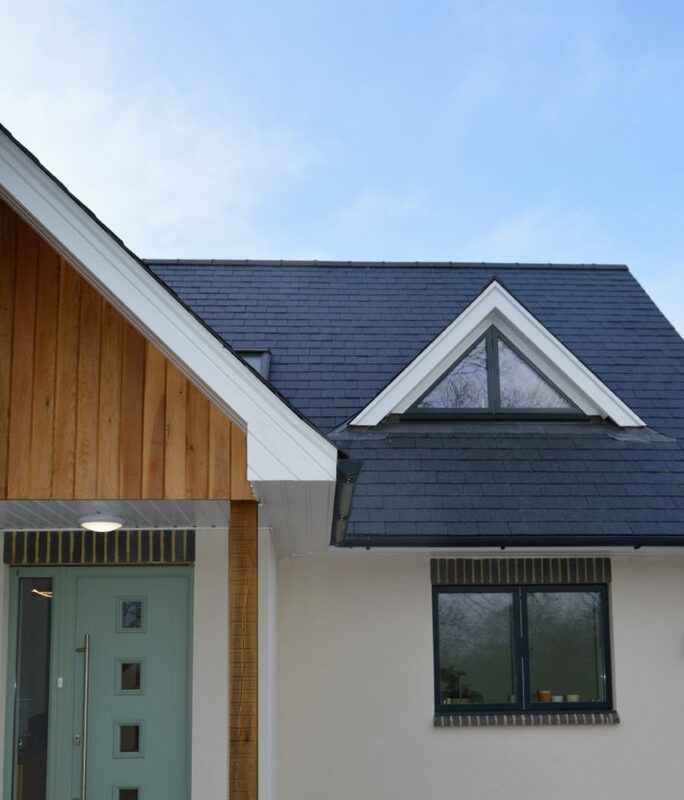 There was outline planning already in place for a chalet bungalow, exactly what they had hoped to build anyway, so they returned to Cameron and together with the architectural team, they worked on a design that would fit the conditions of the planning. 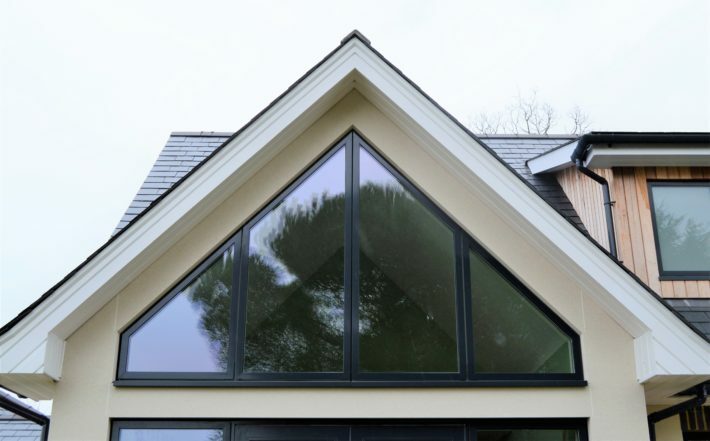 A stunning, bespoke, one and a half storey home was the result. The couple had given Scandia-Hus a list of features they envisaged in their dream home, this included; a galleried landing, vaulted ceiling, an island in the kitchen with views of the garden, and a downstairs room that would be used as a study initially, but with an en-suite so it could become their bedroom in the future. Scandia were able to deliver all this and much more. With planning permission granted, work could begin. Steve, who has a background in project management, ran the build, with advice and recommendations given from Scandia. A schedule was created and, although there were some challenges along the way, everything ran like clockwork from May to October. The only issue that threw the build off schedule slightly, was when the floor screed sub-contractor had an accident on another job, which meant he was unable to complete their floors, holding up activity on site. Then there were the freezing conditions which mean the plaster wouldn’t set on their walls. But all in all, the build program was a success, and completion was only pushed back by a few weeks, it taking 44 instead of the estimated 40 weeks. Steve enjoyed his time project managing, and says he would self-build again if he were younger! The couple are extremely happy with their new home, and it’s not surprising. The building is a superb example of contemporary architecture, with a beautiful mixed finish exterior of render and timber cladding, with grey window frames simultaneously contrasting with and complementing the look. Inside there’s plenty of natural light streaming in through the shaped glazing units and Velux roof lights, and it feels comfortable and warm due to the underfloor heating. 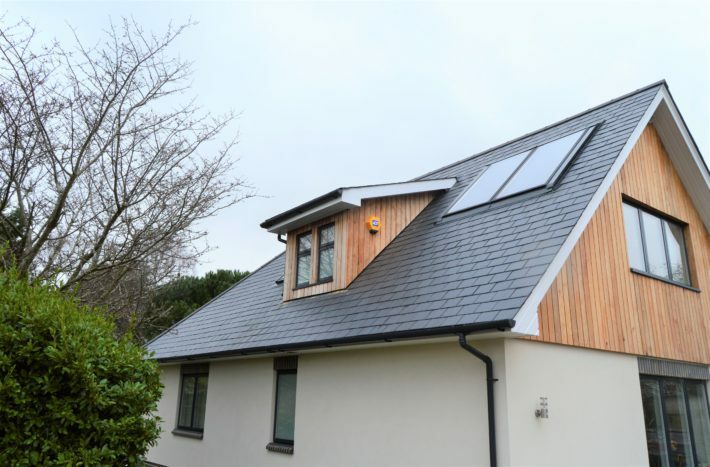 The only regret the couple have is that they were unable to afford more renewables; they have incorporated solar panels on the sloping south facing roof of their home to heat their water, but they ideally would have liked to use an air or ground source heat pump to increase their self-sufficiency, but it wasn’t financially viable. 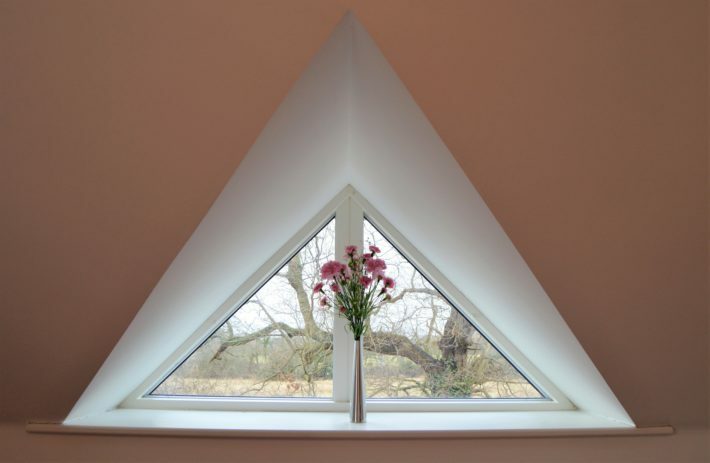 Nevertheless, it is an energy efficient home with great merit – triple glazing and an abundance of Actis insulation (which Margaret painstakingly fitted between the battens herself!) means they use no gas for heating from March to October, as the temperature is pleasant enough without it. Although the process was long and arduous, Steve and Margaret can sit back and enjoy the fruits of their labour. But that’s not the plan; now the house is complete the couple are keen to get out and tackle the large garden, to make it as lovely as the house itself.